Everyone eventually gets old in life, and as a result, we can’t always work and make money. We all need to plan for the future and make sure that when we are no longer physically or mentally able to work, that will still have money to live at least somewhat comfortably for the rest of our lives. That’s why Laurel Insurance Partners offers fixed annuity insurance. We feel that not many people actually know some of the details of fixed annuities and it relates to insurance and retirement planning, so we put some information together to help guide your insurance path! Generally, fixed annuities help stabilize income from investments and are most commonly used by people who are not fully participating in the workforce, who are about to retire, or have already retired. Essentially, fixed annuities are insurance contracts that offer the annuitant (the person that owns the annuity) a set amount of income paid at regular intervals until a specified period has ended or an event has occurred. 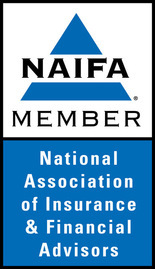 Naturally, there are various advantages and disadvantages to purchasing a fixed annuity. 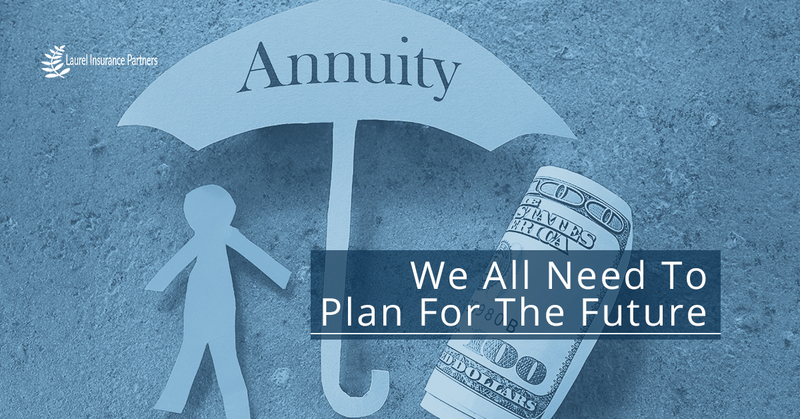 Laurel Insurance Partners believes that though fixed annuity might not be a one-size-fits-all universal solution, it’s still a financially viable solution for many people! There are many types of options that, for a particular fee, can be added to a basic fixed annuity. This makes investing in a fixed annuity to help secure your financial well-being in the future a little bit easier, knowing that you have options when it comes to your fixed annuity. Life annuities are one of two main types of fixed annuities, though there are multiple different kinds of annuities within life annuities and term certain annuities. With life annuities, you pay a predetermined amount each period until the death of the annuitant. The prices of life annuities are composed of the money invested in the annuity, but also the premium paid for these insurance components, so the more insurance components, the more expensive the annuity will be, in essence. Various life annuities, without going into detail of each (you’ll learn in due time!) are straight life annuities, a substandard health annuity, and a joint life with last survivor annuity. Term certain annuities are quite different than life annuities. Term certain annuities tend to pay a given amount per period up to a specified date, no matter what happens to the annuitant over the course of the term. However, if the annuitant dies before the specified date, the insurance company will keep the remainder of the annuity’s value – this is important to consider with a fixed annuity. Term certain annuities also contain no added insurance components – unlike life annuities, term certain annuities do not account for the annuitant’s condition, life expectancy, or beneficiary. A potential disadvantage is that once the term ends, income from the annuity is finished. Often times, term certain annuities are sold to people who are looking for stable income for their retirements but are not interested in buying any sort of insurance component or cannot afford one. Laurel Insurance Partners knows that fixed annuities are a very powerful way to save for retirement and help guarantee regular streams of income upon retirement. Fixed annuity is often used for tax deferral and savings, as well. Be careful, though – annuities can be very tricky to manage for maximum returns because the cost of insurance features can cut into the return on your initial investment. To get the best fixed annuity will require patience and careful planning from you. Finding the right annuity plan to set up your finances for the rest of your life is a serious matter, but you’re not alone – Laurel Insurance Partners are here to help guide you along the path of retirement.